The Blunt Bean Counter: Is Your Corporation a Personal Service Business? One of the first blogs I wrote was "I am a Contractor Unless CRA Says Otherwise" (Note: the link is being temperamental, so if you want to read that blog, either google it or it is listed as a favourite post on the right hand side-bar). In that blog I discussed the various criteria the CRA and the courts use to determine whether a person is an employee or a contractor. I then further discussed the income tax withholding issues that arise when the CRA attempts to re-characterize a contractor as an employee. Finally, I touched upon the concept of a personal service business (“PSB”) and the risk of incorporating if you are a contractor. In today’s post, I will expand on the PSB discussion. For CFL fans of my vintage, the PSB rules came about because of the despised Ralph Sazio (despised if you were a Toronto Argonaut fan). Mr. Sazio, a member of the CFL Hall of Fame who led the Hamilton Tiger-Cats to three Grey Cup championships, decided he would incorporate a company to provide his services to the Tiger Cats to benefit from the low corporate tax rate. The CRA took Sazio to court, but Mr. Sazio won his case prompting the CRA to implement the PSB rules. The PSB rules have reared their ugly head recently because of a CRA crackdown on IT consultants as discussed in this Ottawa Business Journal article by Peter Kovessy titled Taxman cracks down on IT consultants. In addition, on October 31, 2011 the CRA released draft legislation that imposes further punitive rules on PSB's by removing the general rate deduction previously allowed. 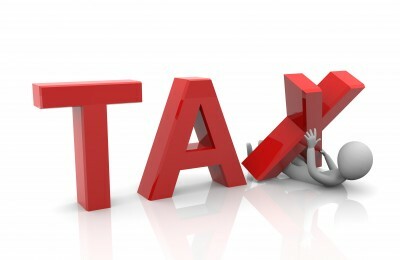 These new rules will become effective for taxation years beginning after October 31, 2011 and are discussed below. The PSB rules deal with incorporated employees. Essentially, when a corporation has been interposed between what one would normally consider an employee-employer relationship, the employee becomes an "incorporated employee". As I have discussed in many prior blogs, incorporation is advantageous because it provides the following: access to the small business deduction and the related low income tax rate, a possible deferral of income tax, limited liability, and potential access to the $750,000 capital gains exemption on qualifying small business corporation shares. In reviewing the PSB rules, you essentially need to ask yourself if you would reasonably be regarded as an employee or officer of the person or partnership to whom you are providing the services, but for the existence of your corporation . If you only have one or two clients and your corporation does not employ more than 5 full-time employees, and you do not meet the criteria I discuss in my contractor blog, you risk being characterized as a PSB. So what are the income tax consequences of being considered a PSB once the new legislation is passed? The corporation will be prevented from claiming the small business deduction, both federally and provincially, and as noted above, you will no longer even get the general rate reduction. In Ontario that means the corporation will be subject to income tax at a rate of 39.25% (in 2012). For comparative purposes, the current small business income tax rate is 15.5%. As a consequence, when taking money out of a PSB by way of dividends, the ultimate combined personal and corporate tax rate will approach 58% in Ontario, a very punitive amount which is 12% greater than a high-rate employed taxpayer would pay. When determining the taxable income from a PSB, the only eligible deduction for the corporation will be any salary and benefits paid to the incorporated employee (yes, that means no other expenses such as travel, office supplies and auto are allowed). If the incorporated employee is a salesperson receiving commissions, expenses paid by the corporation that would have been allowed as a deduction to the individual personally as a commissioned salesperson will be allowed. If you are concerned that your corporation may be a PSB, a conservative approach would be to pay yourself salary rather than using a dividend remuneration strategy. You may also want to avoid income splitting with family members who are not shareholders, however, your other business deductions are still at risk of being disallowed. The proposed PSB rules are very punitive. If you may be an “incorporated employee” you should review your situation in detail with your accountant. Well, now you've got me all paranoid. I am in Ottawa, and have a very common type of setup: I am incorporated, my corporation has signed a contract with a headhunter who won a contract to supply services to DND (using my resume). DND supplies my computer, telephone and work station, but I have signed nothing with them except a non-disclosure agreement. I appear on their telephone lists, but am clearly identified as a contractor. I invoice the headhunters, who do not direct me (and who hardly see me). How could I be considered an employee of either one? And how is it fair to retroactively (!) call me an employee of one or the other or both, costing me significant taxes, without either forcing DND to give me benefits and pension, or forcing the headhunters to cough up CPP, EI and severance? Anon, fair or not, you may have some income tax risk in this situation. I would speak to your accountant or engage an accounant to review your specific situation and if they feel you have some risk, discuss how to mitigate the risk. I am sympathetic to your plight, but as noted in the Ottawa Journal link above, there are many IT consulants who probably feel the same. Again, get some advice, your situation needs to be reivewed. -expenses paid for travel to perform work at special work site for which a valid TD4 was completed. includes mileage, housing, meal allowance. (2) Does the phrase "tax years beginning after Oct 31, 2011" include for example a corporation with a tax year running from Sep 1, 2011 to Aug 31, 2012? Meaning that all of the income in the tax year ending Aug 31, 2012 continues to qualify for the general rate reduction if denied SBD? Anon, since you were so polite; see my comments below each of your questions. BBC says: the wages must be paid in the year to the incorporated employee to be deductible, thus the accrued wages would be denied. However, the wages would be deductible in the year of payment, so timing issue, not an absolute deduction loss. BBC says: same as above, the bonus accrued would be denied. However, again the bonus would be deductible in the year of payment. BBC says: wages to shareholder are deductible, wages to spouse not allowable unless he/she is an incorporated employee. BBC says: it means the year has to start after Oct 31, 2011, so the new rules would apply to your Aug 31, 2013 year end. For your Aug 31, 2012 y/e, you would not be subject to the general rate reduction. Thank you Blunt, you'll be pleased to know you are the only person I've been polite to all day. With respect to wages for polite spouse: if spouse is shareholder/director and also actually performs real bookkeeping, tax prep and corporate records maintenance duties, and has dutifully recorded all such time spent, does that make the spouse an incorporated employee and therefore reasonable wages are deductible? My concern is that if I T4 myself on these wages, and at some future date the corp is deemed PSB, the wages could be treated as shareholder appropriations and therefore non-deductible to corp but taxable to me? Therefore double taxed. Great question whether a spouse shareholder who is paid a salary for corporate duties is an incorporated employee. I have never had to deal with this question and thus, I only provide guidance, you need to confirm with your accountant. In reading the Income Tax Act(125(7)),it would appear your spouse would probably not be considered an "incorporated employee" since s/he does not perform services on behalf of the corporation. Note, although s/he performs services for the corporation, s/he does not perform services on behalf of the corporation to the client/employer. In respect to T4 wages being double taxed, there is a specific exclusion for wages paid to an incorporated shareholder, so that should not be a concern. The Government sent me a questionnaire, which was filled then they coined me to be an 'incorporated employee'. Regardless of the contract and the documentation my lawyer has provided, this has mostly been ignored and they appear to be pushing the this through. Meanwhile there are several other consultants out there including several in my work area that are in the same situation but continue to be allowed full deductions and benefits. It would seem that the government has to close this grey area and apply the rules to either everyone or no one. Picking one small company at a time, that cannot afford to defend themselves leagally [or it would not be viable to attempt to do so] in itself seems unjust. A question I have is: My company pays me personally in both dividends and salary. The dividends portion is taxed as ineligible dividends for a CCPC corporation. If it is determined that my company is acting as a PSB, since the full corporate tax rate is applied for the year in question, would it be true that dividends should now be treated as eligible for that tax year ? (otherwise double taxation would occur). The implication of double taxation would be serious where we are talking about over 10k in dividends per year in my case -- where CRA has gone back a few years, long after the dividends have been declared, to re-assess. so basically, would eligible dividends apply in the case of a PSB ? Anon, sorry to hear you are potentially being re-assessed. You ask a great question. The dividends would qualify as GRIP (the account for eligible dividends). However, the issue, for which I have not had any actual experience is whether the CRA would allow you to change the ineligible dividend to an eligible dividend in the year you actually paid the dividend(my guess is it could be problematic, since to pay an eligible dividend certain documentation must be put in place at the time). So my concern is yes you will have GRIP, but that GRIP may only be used going forward. This would make the issue more painfull as the benefit of eligible dividends vs ineligible dividends was 10% in 2009, 7% in 2010, 5% in 2011 and is now only 4% in 2012. Sorry, cannot provide definitive answer, only the concern I have. They re-asessed for 2007 and 2008, and I now assume they will apply the ruling for additional years going forward once a decision is made (2009 thru 2011). At this point I am reluctant to contact CRA regarding the Dividends as the file is currently in the Objection stage (Since late 2010). My Lawyer informed me they had delayed a decision on the file as they were looking at pooling a number of these together to decide how to handle. The outcome should be interesting - I can only assume a large number of IT consultants may be impacted, if not this year, then in the upcoming years. The Cra won't allow a retroactive eligible dividend designation as per several of their technical interpretations. in reply to: The CRA won't allow a retroactive eligible dividend designation as per several of their technical interpretations. Is Individual Pension Plan, IPP, contribution deductible under the new PSB rules? Anon, great question, fortunately for my clients, I never had to look into the issue. The new rules would not affect whether a IPP is deductible or not. If is was under the old rules, it will be under the new rules. Send me a private email to bluntbeancounter@gmail.com and i can point you in the right direction. IPP contributions are one of the few eligible deductions that a PSB can still claim. Can anyone answer this simple question ? I'm an IT Contractor incorporated and working for the fed through a head hunter. Is my corporation going to be treated as a PSB ? You say the max PSB tax rate could reach 58% which means I will really have no savings after paying bills. This is really scary situation. Is this legislation already in effect? So you have possible risk and your corporation could be treated as a PSB. However, if you are paying mostly salary to yourself, your risk is minimial even if assessed. I have not had a chance to look if proposed legislation has been passed, but since majority government, it will if not already, so plan on it. - in 2012 my corporation earns $70K and I pay it all to myself. - in 2013 my corporation earns $100K and I pay it all to myself. - in 2014 I couldn't find good contract and my corporation only earned $40K, so I paid it all to myself. In these cases can CRA say - "hey, you can't do that, we'll punish you" because obviously you are paying yourself all the money from corporation each year as a salary, and that salary is different every time, and you NOT leaving anything in the corporation. Would that cause any trouble for me? If you are paying out all your corporate income out each year as salary to yourself, you will have no issues even if the income is choppy. I also have an interesting observation. As I am now getting into contracting I am talking to many consulting(staffing) agencies that hire for these IT Contract position. Whenever I bring up the question of PSB with them they basically say "we have hundreds of consultants and they are all incorporated and noone was ever audited for any PSB stuff". I think that in general not many consultants or agencies out there know about the whole PSB thing, especially the changes that happened in October 2011. Yeah, I've seen two answers. Some say - "please be sure to speak to your financial advisor". Others say, "chances of you being audited are pretty slim". Obviously when one signs papers the agency will make sure they've covered themeselves up. But the bigger problem is that 99% of people don't know about this, and unknowingly take the chances. All in all, considering how many IT consultants is out there and how many CRA audits every year - they audit a tiny fraction. Had people known about it, they'd refuse to work as Incorporated or ask for higher hourly rates so that the extra expense of being PSB would be covered. BTW, Mark, can I ask one more question: would PSB rules apply to a non-incorporated Sole Proprietors, the kinds that are called "Self Imployed working through placement agency", they also get Code 11 on their T4 slip. Would PSB rules apply to them? If not, can they make reasonable deductions? Last question I will answer on PSB's. The PSB rules do not apply to a non-incorporated "Self Employed working through placement agency", who get Code 11 on their T4 slip. I do not have any employment agencies as clients so I am not sure if the CRA has gone after them to try and make the self-employed consultants employees of the placement agency ( I know they must pay CPP and EI)or alternatively employees of the firm they are placed at and working full-time. You can deduct expenses related to your self-employment, the risk however is whether the CRA deems you an employee rather than a contractor and as usual that is a ? of facts. Why CRA hate PSB so much to punish them? Those contractors sacrificed benefit package and vacation for the little tax saving advantage. It's all hard earned bloody money. It appears we either have an option to charge higher hourly rates or to switch to full time. Either way the clients (government, insurance cmpanies, banks and so on) will have to pay more if they want experienced people on their projects. The difference will go to the tax man. I have a quick one. I am an Engineering consultant. I have one main contract (40hrs/week) which is paid through an agency. I am in the clients office, and they provide the equipment. I pay myself and my wife(secretary) a salary as well as dividends. Am I at risk of being classified a PSB? would it help me if I pulled a "permit to practice" for my company? Anon, not quick nor a simple question. The fact that you have 4 clients in total and spend a 1,000 hours on the three other clients at least gives you a filing position that you are not a PSB or a position that only part of your business is a PSB. How the CRA views your situation, I cannot say with any certainty. I have no experience on whether or how the CRA would assess and apportion if they consider only a part of a corporation a PSB. Speak to your accountant, or if you dont have one, engage one. Hi, I've had clients whose relationship with one particular customer is definitely different from the others, and in that case, I've apportioned the expenses in a separate class for each customer, allocating as appropriate, and calculating the amount to add back to income based on that pro-rata sharing of expenses. It's a pain to do this, and on top of that, WCB in BC won't insure that portion of the work, as the customer is liable when it's a corporate employee situation. In one case I was able to get a refund of WCB premiums paid for several years back for that portion of the earnings and they went after the Municipality for the WCB premiums on their 'corporate employee' instead. this legislation sounds very similar to the IR35 legislation introduced in the UK about a decade ago. It particularly penalised small single person IT companies. In the UK this has led to the rise of so called "Umbrella" coroprations that can have thousands of contractors working as pseudo employees. Do you know if such a concept would work in Canada? And if so are there any already in existence? And if not, are you interested in establishing a business of this type? (Given you seem to be pretty informed about the legislation). The contractor/PSB issue is very complex. Many people are inadvertently affected, however, on the other hand, most employees do not get to claim deductions or income split. So where is the line drawn between true contractor and employee; it is a fine line sometimes and that is why the CRA goes after unsuspecting contractors whether fair or not. I am a contractor in Ottawa and noticed a number of positions for contractors at the CRA, all of which are full time (where they are 35 to 40 hours per week). I have applied for a number of these contracts in the past, including a few at CRA where I had worked two. How is it that CRA would consider a contractor a de facto employee of the organization in wich someone is working (i.e. the CRA itself in this case) when the government has in place very strict guidelines for consultants ? With several hundred consultants at Revenue Canada, would they not place themselves in a situation where they have pseudo employees vs. contractors. This is interesting, no ? It is almost like one hand is not talking the other. My experience has been, with the government, that only one contract can be held at one time since 99% of contracts are during regular business hours and full time, so having multiple clients seems next to impossible in my field for government contracts (the one client, being one of the PSB criteria). I have tried for multiple clients without success. Public works Canada would deny the application. Perhaps the PSB criteria is too broadly applied and they should consider exceptions for certain areas of expertise. 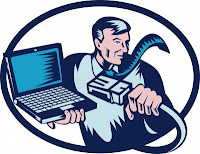 For example, I am a mainframe programmer and therefore I have to use equipment at the client site for the reason the most people do not have a mainframe at home. Government security is an issue as well therefore I have to work on site -- these are also two criteria of a PSB, use of own equipment and work location. Several things are beyond my control and therefore I would almost certainly be considered a PSB. Then again, so would most all Government Contractors. (one client, on site, with use of government equiptment). All told, there are several thousand in the same position as myself. I have read somewhere that CRA wishes to crack down on employees that leave the government to return as consultants (discouraging people from doing so). It may or may not be the case but I agree, with more people retiring this would be a growing trend. Perhaps there is a way they can more easily target this more precisely, rather than disrupting the delicate balance between all existing consultants in Government working together with (actual) employees. Anon, you make so many great points,I should have given you a guest blog spot. As I live in TO, I dont really have any clients working for the CRA, but clearly the government must address the realities of todays workplace and the right and left hand should meet. I feel your frustration and that of many others who have written in on this topic. My company pays me 50% dividends and 50% salary. If my company is ever designated to be a PSB, will the dividends effectively be subject to double taxation since the original dividend was considered that of a CCPC. For a PSB a CCPC does not apply for that tax year. In that case, should dividends not be adjusted from ineligible (CCPC) to eligible (PSB) as PSBs are now taxed at a full rate. Say your corp earned $100,000 and you paid yourslef a salary of $50,000 (50% as per above) so your corporation has net income of $50,000. The issue is that the remaining $50,000 of net income afer salary will be taxed at the high corporate rate without the small business deduction for year ends started before Oct 31, 2011 and for year ends after, there will be no small business deduction and no general rate reduction. Thus, it is not the dividends (which cannot be adjusted-see discussion above)that are double taxed, but the corporate income. For example in Ontario the low corp. rate before Oct, 2011 was 15.5%, but if you were reassessed for a period before Oct, the corp rate would increase to 28.25% and if assessed for a year end starting after Oct 31, 2011 the corp rate will now be close to 39%. You geneally can be audited up to 3 years from the date the corporation was assessed. Given that a CCPC can only declare ineligible dividends - and the amounts are distributed to the shareholder. Should the dividend, which was previously declared (and was ineligible), now be converted to an eligible dividend [with a re-assessment scenario], if the company is found to be a PSB. This considering that the the corporation is now taxed at the full tax rate as a PSB [a rate similar to a large company]. The overall tax rate on the corporate side is unchanged (whether the dividend is eligible or ineligible), but by declaring the dividend now as ELIGIBLE, the tax credit to the shareholder is significantly larger (to offset the higher tax rate). The eligible dividend would be grossed up by 145 percent, with the tax credit of 27.5 percent (instead of 125, with 16 percent tax credit). T5's would have to be re-issued I imagine, but the difference between eligible an ineligible could be huge to the shareholder [in this case me]. Anon, someone posted on Feb 18th above that, "the Cra won't allow a retroactive eligible dividend designation as per several of their technical interpretations". I dont have the time to seach for them. Also, I have something in a file, but not sure who to attribute to, that says- if a CCPC paid an ineligible dividend but were subsequently reassesed as a PSB there would be no ability to designate dividends as eligible dividends retroactively from the general rate income pool. Thus, there does not appear to be any way to retroactively change dividends if you are reassessed. I've run across PSB's in several unique situations. One was a commission sales rep for a foreign company. He, under the guise of a corporation which was paid commission cheques, travelled across the country, selling their product line to novelty stores. His wife came with him for company on the road. He was paying her a cheque for spending money, and paying her meals and living / travel expenses out of the company. She didn't do any work for the corporation, well, she did pile up the paperwork into a pile for the year end. It was quite a shock when I shared the PSB rules with them. Not only weren't many of their expenses deductible, but there was very likely a benefit conferred for the personal use of corporate funds under S. 15 for the spending money, and meals, etc. It was either that or pay back the company for thousands... and this had been going on for 20 years. I couldn't handle the abuse and the attitude of entitlement so I didn't take them on as clients. What is the impact of this issue to people who provide same contracting/consulting services to clients as sole proprietors through an agency? If you are not considered an employee but considerd self employed, you should not have any issues. However, if the CRA deems you to be employed by the agency, the deductions you claimed as a self employed person could be reduced or denied. I have not looked at the criteria for placement agencies in years, so all I can suggest is read the CRA link above to see whether you have any concern. Ff you are a sole prop working for a company through an agency, lets say as an IT consultant, the agency will deduct CPP/EI at source as required by CRA T4001. However, the agency's contract specifically states that there is no employment relationship here... And according to the agency, this source deduction should not affect business expense deduction and other features of sole proprietorship. does this situation described above make you more likely, less likely (sure!) or same for chances of being audited by CRA to determine if you fit their criteria of employee vs self employment? If you are incorporated, the agency wouldnt deduct any CPP/EI so probably no red flag to the CRA there... Or is there even a red flag in this situation? Anon, I cannot answer with any certainty. Typically these things are subject to the CRA's audit flavour of the year and if agencies are not that flavour, it is more of a random event. I worked in the UK as an engineering "PSB" during the time that the UK IR35 legislation was enacted. A major outcome of IR35 was the establishment, by a group of effected contractors, of "The Professional Contractors Group" (http://www.pcg.org.uk/cms/index.php). This group became a powerful voice, lobbying on behalf of freelancers, that the government could not ignore. Although IR35 remained in effect, the PCG worked to develop clear guidelines on interpretation of IR35 and a set of template contracts that if implemented with a client contained clauses to demonstrate that a employer-employee relationship did not exist, e.g. demonstration of professional and commercial risk that employees do not face. I would hope that a similar group could/would be established in Canada. On a more personal note. I am now living and working in Canada as an contractor and have a single client. However, that client is a US Corporation and as such there is no way I could be an employee of that client. How would the CRA view this? I'm also curious to know if there is a mechanism for challenging any CRA judgement of being a PSB? Or is it straight to the courts? Ikrananka, thx for pointing out the UK experience. (http://www.serbinski.com/working-in-usa/contractors.shtml)"if you provide personal services in the United States or elsewhere outside Canada and are paid through your own corporation - you may not claim the small business deduction". If their interpretation is correct, you will lose most of the deferral benefit of a corporation whether it is a PSB or not. You would first file a notice of objection and see if the issue can be resolved at the appeals level, then it is pretty much off to court. Thanks for your reply and the very useful link. I need to read it again a few times to try and fully understand it but my impression is that it doesn't apply to me. My client is a US Corporation, however I am based and conduct all of my work physically in Canada. The blog appears to be addressed to those who conduct their work while physically in the US but via a Canadian Corporation. I'll discuss this further with my accountant. BTW - thanks for your excellent blog. I am being faced with a similar situation. All work will be based out of canada, but I will be providing engineering services for a US based corporation, who does not have a legal entity here in Canada. Will this rule affect so called "personal service income"? No, these rules relate to corporations only. However, if you are self employed and only have one main client, there is a risk your client could be re-assessed and be deemed to be your employer. If that was the case, many if not most of your self employment deductions could be denied. You mentioned: "However, if you are self employed and only have one main client", do you mean those unlimited companies? What if the incorporation has one main source of income from one employer,and have other minor income from other different sources, does the main source have a risk of being classified as "personal service income"? in this case what about the tax rate in this kind of income though? Anon, I think you are confusing me with your terms. I thought when you said "personal service income" you were inferring self employment income. If you are self-employed (not incorporated) my discussion stands. However, if you are incorporated and have one main client, you could be subject to the rules I discus in my blog. I see what you mean. Thanks for your time Mark. I'm incorporate and provide productions services on a freelance basis to various television production companies. My company contracts with them directly (no agency) and I have several clients per year -- often they overlap. I also use my company to develop projects of my own, each of which incurs revenue and expenses related to the project. I use my own equipment at most contracts, and often I work from home. Am I at risk? LeAnne, I cannot and will not provide a definitive answer on a blog. However, based on your circumstances and the comments I made in the above post, you would appear to have limited risk. In May 2012, Minister of Revenue Québec revised there criteria to adapt them to the realities of today's IT businesses. Two jurisprudence cases where won, TAP consulting and Pragma service conseils. Every company that were deemed to be PSB got their cases reversed because of those new criteria. Now CRA acknowledge that ownership of the tools is a neutral factor, but they still want to go to court to clarify their criteria. Why Canadians should spend money when there are already new rules for IT businesses in another Province? IT consultants works the same way in Québec than anywhere else, I find it completely unfair for the rest of Canada and I hope that CRA will learn from Revenue Québec and revised their criteria to adapt them to the realities of today. If parliament would have listen to the recommendation of the standing committee on Finance on this issue (June 2010), this problem would have been solved by now. We are in this mess because of the lack of clarity on the outdated rules of PSB. I am pleased to say that my case got reversed but still fighting for justice. Anon, thanks for sharing Quebec's position and your experience. And good for you, to continue fighting the fight, after you won your case. Maybe the CRA will follow Quebec's lead. I started a corporation in Calgary 2 years ago. I am a one man company so far as I am in the growing stages and hope to develop software solution. In the interim, I consult my services to multiple companies here in Calgary, most of which come from recruiting companies has they are the preferred vendors for oil and gas. I don't pay myself a salary and last year took a dividend payout of only 20k, as I am living off savings while I try and build my company. So will this rule apply to me you think, I do IT consulting. Hi Anon, I dont provide specific advice, since I maybe missing significant facts. However, where you have multiple clients,in general you will not be a PSB. I have read through the article and all the comments with great interest. Thank you for posting. I have one question I wanted to clarify. I am an incorporated IT contractor. Is CRA's expectation that I have multiple contracts going on at the same time? Or is it acceptable if I have multiple contracts per year (2-4) but they do not overlap? It has been my experience that as long as there are multiple contracts, the CRA does not require overlap of the contracts. The holdings ltd. company will find contracts and he will hire me on a per well basis. I charge a day rate and supply the equipment required for working. Additionally, each job is invoices separately not on an hourly or bi-weekly type pay structure. I've talked to other geologists and other service providers that are in the same boat and all of them are incorporated. I feel I may be missing out on a opportunity to take advantage of being incorporated. One fellow mentioned he pays himself 25k a year in salary and 90k in dividends. This seemed like a bunch of bologne until he said he got assessed last year and nothing came of it. I do not provide specific income tax planning on this blog. You are in a bit of a grey area and I would need more facts, but I can see where it may be possible for you to utilize a corporation. My suggestion, hire an accountant, have them summarize the risks based on the facts and then make the decision on whether to incorporate. Based on what you have provided, it is definitely worth spending a few bucks to investigate. We are a general contracting company which uses sub-trades to do the work, mainly roofing and exteriors. A number of the crews that we work with do only work for us. They accrue their own expenses (fuel, supplies, equipment), but typically have fewer than five employees. We require them to warranty their work, so if there is an issue, they are on the hook to fix it or pay for it. Is there a possibility of them being hit with this? The fact that they only work for you is not great, however, that is somewhat counteracted by the fact they pay their own expenses and warrany their own work. So is there a possibility yes, they could be reassessed. However, they would have an argument that they assume all the risk.So I cannot give you a definitive answer. Let's say I have been incorporated for 3 yrs now and have claimed expenses such as car lease, home office, meals, etc. I am contemplating to talk to CRA and write up a VD. I am not sure this is such a good idea, but am really worry about getting penalized. What is your thoughts on this? Anon, I don't give specific tax planning advice on this blog, too many facts I am not aware of. Speak to your accountant, but my guess is they will probably tell you not a good idea, but they may tell you to change what u are doing moving forward. Hi, have there been any new developments since this was first enacted? I have been an incorporated contractor for 10 plus years in IT in Calgary. Most of my deductions are salary to myself but I have some dividend and small office expenses which could be reassessed. I get the impression the gov't is cracking down on PSB's that are contracted to Federal gov't agencies, are they also reassessing PSB's taht contract to private business's? Thanks kindly for the information provided here. I have not seen a flurry of re-assessments against PSBs in private business. However, where I see a blatant case of a company being a PSB, I try and mitigate before if possible. That may include having the incorporated employee take all or more salary from the PSB or where possible, having the corp get multiple contracts. In very blatant cases I suggest the incorporated employee not use their corporation at all and become an employee of the company paying them. If one is considered a PSB, and is still allowed to provide him/herself as an employee, with benefits and allowances, where can we read what is exactly the amount that is allowed, and for what type of benefits and allowances. Say if my company income was 100 000/year, can I provide myself a 80 000 allowance for holidays? Anon, I don't have the time to research what the CRA considers a benefit or allowance for these purposes. However, by benefits I think they mean the companies share of CPP etc. As for allowances, whether they would allow a car allowance, I have not looked into this, but I would think at lot smaller than $80k --ie: you cannot use this exception to get around the rules. I have read through your blog and this article and all the comments with great interest. Thank you for your patience and generous replies. I'm an incorporated IT consultant, in contract with the Fed Gov through Agent company, sometime more than one agent. I've been providing services to the same client for the past 6 years, and occasionally another short term client in parallel. I invoice the agent and the agent company pays my company. my company pays for my expenses. I live in Toronto and travel to Ottawa weekly for my contract. I have been audited last year for 2008/2009 tax years and the decision was that my corporation is a PSB. After showing contracts and explaining expenses, most of the expenses were allowed including travel, per diem, accommodation and legal costs. my wife is an employee of the business and I pay myself and wife salaries. after reassessment, I had to pay more tax due to PSB higher tax rate! I paid the tax and interest and then filed an objection stating my argument using IT-73R6 para 18 and 19. I just heard back today from CRA, I had forgotten everything since it’s been 10 month since I filed the objection. I asked him to call him back once I read through my papers and refresh about the subject. we spoke and he was told me that had some questions in mind, he said that he agrees with the argument and the references made to para 18 and 19, however he wants to clarify in particular about para 18 part "d", and his decision will be based on it. para 18 para (d) states that a corp is a PSB if it provides services and (d) the fee for the services is not received or receivable by the corporation from a corporation with which it was associated in the year. So if my corp is associated with the payer corp, then it’s not a PSB. The argument is about the word "associated", and about its definition, he pointed to a document IT-64R4 that defines the association. which under para 256(1)(a) means two corporations are associated with each other if one of them is controlled, directly or indirectly in any manner whatever, by the other. clearly my corp is not associated based on that definition. I have to call the agent back to demonstrate and demonstrate the relationship I have with the payer. my corp relationship is nothing special, it’s the same like every other contractor has when going through agencies to deliver service to client like government. I have a contract with term and rate. Is there a way that this relationship can come be treated as if our corps are associated? somebody pointed out that it all comes down to the "degrees of separation" ... if you're incorporated and your actual contract is with an HR company and not the "gov. client" directly then you'll be treated as a SMB even if you work for the same "gov. client" for 10 straight years. is that true? Sorry for the long post and thanks so much in advance! Sorry to hear you were audited. I just am too swamped at work to spend much time reviewing your situation and I dont provide personal tax advice on this blog. You should really be consulting your accountant about this issue. Off the top of my head, you wont like my answer, I dont see much of an argument you are associated. Best of luck and you should really contact your accountant to review your situation. for more information. If you were asked to fill a questionnaire at the beginning of the audit and you feel that you did not have a fair treatment because of it,or you do not have the information on what CRA have based their analyses to determine your company a PSB, you can contact the taxpayers ombudsman office to lodge a complaint, the office is monitoring the complaints on this issue. Please contact an expert to help you on this. Thanks for your helpful info on this post and related comments. Both my wife and myself are contractors working with engineering companies. My corporation received the income from two clients. One client is through agent and we signed the contract with another client other than throug agent(called direct contract). How do you consider my corporation's situation, PSB or CCPC? When I discussed the risk of PSB with the manager in agent's office, he said if I signed the contract with agent, there is no any risk to be considered as PSB. The reason is that the agent pays me and agent does not provide office to me. Is his understanding correct? I have been developing another small business like building commercial websites, but there has been no profit so far. Does this effort reduce the risk to be PSB? I am looking forward your comments. I think for the agent to say there is not any risk is irresponsible of them. The fact you don't have an office with the agent is only one small factor to consider. I cannot and will not provide an opinion on whether you are a PSB on a blog. However, the fact you have two clients and have started a business are all positive factors. Sorry, that is all I am willing to say. Thanks for all of your comments Mark. They are very helpful. I would like to ask you that if there is an agent company between the client company and my company, who is considered as my client when I try to answer the questions to evaluate if I am a PSB. The agent company only collects timesheets and then makes payment to my company, and nothing else. Am I considered as not PSB then? If I work from home and decide on my hours to work, would I not considered a PSB? Anon- go back to the blog and read the link to the Business Journal article by Peter Kovessy titled Taxman cracks down on IT consultants. I think you will get your answer in that article. I am a realtor.....can I pay my spouse lumpsum payment in the year for doing some lead generation and admisnistrative work for me without forming a corporation ?If she does form management coporation and invoice me will it be considered personal corportaion or would be able to take advantage of small business corporation? 1. Did she actually perform the services and if so, what is a reasonable price to pay for those services. 2. If you are employed, does your employer provide a T2200 that says you need to hire an assistant? If not, you cannot claim a deduction for her services. 3. If you are self-employed, it is then a question of whether you pay her as an employee or contractor for actual services provided. I will not answer that question for you as it has its own complications. My question is not so simple. I am a US citizen, having an US "S" Corp. and I worked, as an Incorporated US Company, for 8 months for a Canadian Staff Augmentation Company subcontracted to Bruce Power. I invoiced the Staff Aug. company weekly for hours worked, plus per diem (designated sum)and certain travel expenses back to the US on a monthly basis. The Staff Aug. company submitted my weekly invoices to Bruce who intern paid the Staff Aug. Company who paid me in US funds to my Company Account minus 15% Canadian withholding taxes. They also reported 13% in HST but I was paid the HST as my obligation to submit to the Canadian gov't at the end of the year (filing date). I received a 1099 from the Canadian Staff Aug. company for earnings paid to my Company for my services, I intern paid my salary out of my Company account, leaving the 13% HST in the account in anticipation of it being paid to the Canadian gov't. I worked in Canadian for less than 183 days and was not in Canada for more than 183 days. I also worked for 2 additional Companies during the tax period in the US in two separate US states not under my "S" Corporation. In addition, for 10 months of the year I had a rental property (home) income, whic also must be included in the filing process. I would like to know the filing process for fulfilling my tax obligations to Canada (both personal and Business, since I was a US Company doing business in Canada for less than 183 days, and how the Canadian tax obligations affect my US federal tax and state filings. I have had difficulty finding a tax firm in the US who is both reputable, having a confirmed and validated history, and willing to do my taxes for a reasonable fee, not in the multiple thousands of dollars. Anon, sorry, you are correct your question is not simple and would take far to much time to answer. You are also correct, cross border taxation is expensive. I would look for a border CPA firm, such as in Buffalo depending upon where you live that know both the US and CDn side or a Cdn firm that does US. Will the client absorb any risk should a project go over budget? --- No, I will loose hourly wages as the project needs to finished what budget allows .. Please help as I am an IT Consultant and I have been doing this since 2006. Zeeshan, I don't provide specific tax planning advice on this blog. The contractor vs employee issue is always a question of facts and all I can tell you is you have several facts on your side if you were to be audited by the CRA, however, I cannot guarantee the CRA would not still try and assess you as an employee. If you don't have an accountant, you should engage one to help ensure you undertake everything in your power to reflect being a contractor,many of which you already are or have done. Zeeshan, I have not checked lately if passed,but does not matter, it is as good as passed and would plan on it. There are no actual set rules of one vs two employers etc, but someone working for only one client for a long period, has greater risk of being assessed as a PSB or being audited as potentially being a PSB. In relation to anon's question dated April 2, 2012 at 4:20 PM where s/he wanted to declare outright that s/he is PSB, you commented that it is fine with flowing all corporate income to yourself as salary. I don't want to have to go remit deductions every so often to CRA or file the related forms, so can I bypass this by flowing all the income to myself as contract pay (not construction work), and then pay the relevant CPP and income taxes on my personal return? Is this not possible, do I have to file more forms, and/or are there clear disadvantages with this approach? I would like to inform you that the ombudsman of taxpayers office started a systemic investigation on the use of questionnaires for the determination status of a worker following several complaints. The investigation started in January 2013 and will take from 18 to 24 months for its conclusion. Sorry, but your question is way too complicated to answer on a blog and even if I wanted to answer it, I probably would have a hard time providing a definitive answer based on the various complex factors your corp has. When I go to the CRA website they list these six criteria in IT 73R6 to determine personal services business. The problem is twofold, one the IT is somewhat old (2002) and second indicates that the list is not exhaustive. The questions then are is the list in IT73R6 still applicable given the tax law changes and any subsequent court decisions, and is the not exhaustive list (para 18 and 19 of the IT) missing any factors you would consider critical in making your decision about whether a corporation is a personal service business or not and if so what are those factors. The list is still pretty much what the CRA uses. I've read about many situations of an incorporated contractor of a personnel company being declared a PSB but haven't heard about the implication to the personnel company. Does CRA go after the personnel company for their share of the CPP/EI? Does CRA go after them for anything else? This all seems one sided. In the last while I have only seen situations where a a self-employed contractor (as oppossed to a PSB)is considered an employee by the CRA. In those cases, they have assessed the employer company their share of the CPP, EI and penalties. Also, sometimes the employer is then hit for EHT and WSIB. These assessments can be huge. I realize this post is fairly old, but I was hoping you still may be able to provide me with a little insight. My husband just bought into the company he works for. They have told him that he needs to set up a corporation to buy the shares and that any work he does for the company now gets invoiced from his corporation and that he is no longer deemed as an employee but an owner instead. He still works a lot of hours at the company but has full control over what he does. We can not find any info online about this particular situation in relation to PSBs and we are have a 2 week wait to get in to see the accountant and tax lawyer. Hoping maybe you could give a little information in the meantime as this is all happening really fast. Thank you. I dont provide personal tax planning advice on this blog, so I will just provide some general comments below. I am glad you are going to see a lawyer and accountant. In general and depending upon the specific fact situation, it usually makes sense to use the corporation to purchase the shares. However, again in general, subject to the facts, I do not usually like the idea of the corp invoicing for your husbands services. I would discuss this concern with your advisors and whether they would prefer your husband to be paid as an employee by his current company and to only receive dividends paid from the current company to his new corporation. Does it make a difference if I export services to the USA, whether I'm considered a PSB by CRA? I work mostly in Ottawa, Ontario, for a single client in Massachusetts. I understand the rest of the CRA checklist, but haven't seen any advice on this. I have never had to deal with this situation. My guess is the CRA would apply the same test to the US employer as they would a Cdn employer, that is, would you be regarded as an employee of the US corp if not for your Cdn corp. I don't understand how that could possibly apply. In order to legally work as an employee of an american corporation you need to have a US Work Visa. Since there is no work visa, the argument simply is, there is no way I can be an employee XZY America Corp. because I do not have a work visa and I am not legally eligible to work in the US as an employee. Therefore, I am also not working illegally in the USA as I am not in the USA. The article in question refers to providing personal services in which you would not be, as you would clearly be in a vender client situation. A corporate entity providing service to a company in foreign country whereas all the work is done from your own country in your own corporation's office and with your own equipment. Regardless if you have only a single or multiple clients. It would certainly be illegal for you to even be on the payroll of a US company without a US work permit - this means potential jail time for you or huge fines for the US companies. So, I would suggest that first the US company would have to have a US court ruling that you were an employee of the US corporation before the CRA could even consider that you were. The US court would have to rule that although you were not on the payroll, you should have been on the payroll. This would mean the company hired you illegally and would therefore be charged. Unless there are any case law or precedences about this, I wouldn't be worried in your situation. So if someone works basically 9-5 for a single client, is paid hourly as a contractor, is the only person in his corporation, uses the companies equipment, they dictate the type of work, 90% of income comes from this single contract, are they going to be re-classified for the 2013 year? Thanks for this great info Mark. You're time is much appreciated. Looking at the $$$ at risk mainly for 2012, we're talking hundreds of thousands. We're trying to decide whether to amend 2012 T2's, risk waiting things out, or rectification. We've consulted several tax lawyers and our accountants for guidance, but can't seem to make a decision. In your experience, does an amendment usually trigger an audit? Do you know of any PSB cases we can refer to? I dont provide specific advice on this blog, but if I was the accountant and the facts are essentially as you tel them, I know immediately how I would answer. Would appreciate your insight, as you seem very knowledgeable on this subject. I am a CPA/CGA and have a corporate tax client that reported as a PSB in 2012. He was doing business with his brother's corp only, was the only employee and using employer's equipment. He started contracting with an arm's length party in March, 2013 and is pursuing other arm's length contracts. Does this seem enough to report as a CCPC for 2013? Would the SBD be pro-rated (July 31 year end)? Would appreciate your thoughts. Wow, your client is probably one of very few people who report as a PSB; there are many who are PSB's, but very few who report that way. Your question is interesting. Unfortunately I do not provide specific tax planning advice on this blog and even if I did, I would require more facts as to the quantum of the income for each client. What I will say is that you may be able to build a position dependent upon the facts that not all the income is PSB income. Interest in your comments on the following suggestion. I am a CGA and have a few clients that pose a higher risk of a PSB assessment, yet have the adequate documentation to support an active corp. Along with avoiding dividends, I am considering it may be beneficial to claim expenses such as auto by the employee\shareholder as employment expenses on the T777. Of course, the T2200 is signed by same. This would reduce the amount disallowed as expenses for a PSB, if reassessed. Have you had any experience with this, and if T777 expenses would also be denied along side a reassessment. Thanks in advance. Great question. I was discussing the exact same issue with my tax manager a few days ago for a client we have some concern over. We were thinking of doing the same thing.However, we were unsure whether the CRA (1) would disallow the T777 claims or in the alternative (2) if we did nothing, would they allow amended T777 claims as an employee. I cannot answer since to date I have been lucky enough to escape a couple PSB audits without re-assessment. That is the conservative approach (definitely not the best for tax) and hopefully the CRA allows the T2200 expenses and does not trace the expenses to the PSB and deny them. I think it would be considered not within the "spirit" of the ITA to do full wage and flow through all expenses to a T777, presenting a clear corporate PSB position (and hence denial of any expenses no matter how submitted). If not reporting as a PSB, then the info has to support that, with normal business expenses being claimed. The T777 should only claim for what any reasonable employee in the industry may claim, such as auto, etc. An employee would not be required to pay all the operating expenses. If the corp is deemed a PSB, then I can see a better chance of these emp.expenses being allowed based on what other "employees" from the paying corporation may be allowed on a T777 claim as well. At best then it will simply reduce the client's reassessment and penalties, while avoiding gross negligence penalties for yourself. I live in Ontario and have a Ontario corporation under which I have been contract programmer. Can I pursue work with in-Canada, out-of-province companies? I have tele-worked for companies like this in Ontario. Yes, just because you incorporated in Ont that does not restrict where you can earn income. You can earn income in any province or country, however, you may have some additional tax reporting to do. Who ever said income tax is fair. The truly unfair part is many people are forced by their contractual agreements to incorporate to get the work and then are considered PSBs. If I am incorporated but my on-going contract is with a company in the Caribbean - that I only travel to once a year for a couple weeks doing the vast majority of my work remotely throughout the year - does that make a difference in PSB determination? From a PSB perspective, you will still have the same PSB risk, depending upon the facts. You appear to be carrying on your business in Cda, but if it was determined you are not carrying on your business in Cda, that could be detrimental in other ways. Speak to your accountant about both these issues. How does HST work with PSB? If I am a PSB can I still keep some of the HST through quick method and add it to my income? Or do I loose that too and must remit all 13% to CRA? I never had to consider this issue. My guess is the HST you remit would not be affected by the PSB issue, but again, I have never looked at this issue. I am thinking to file outright as PSB. If I pay all the incorporated income to myself as salary question is do I still pay both sides of CPP (employee portion as well as employer portion) or do I only pay employee part of CPP? 1. I incorporated a company for my transportation business. I do not have a truck but I work for a company who writes the cheque under the name of my corporation. I always deposit the cheque in my corporate account and take it out personally. I am not an employee of my corporation and never paid DAS. 2. My accountant has filed the whole money I took out in my personal taxes. 3. My question is: what do I do with my corporate taxes now? Will I be double taxes? Do I even have to file corporate taxes since I declared income on personal side? or can i show same revenue and management fees as expense and file corporate taxes? You should not have to pay double tax, but you need to get your affairs sorted out. Firstly, if you are paid to a corporation, you must report your income in the corporation and file your corporate tax return. You will have some kind of expense to offset the revenue such that you probably should have no tax, however, that is your accountants issue to sort out as to what type of expense it is. If it is a wage you could have penalties in the corp for not making tax withholding's, if it is a management fee, you may have HST issues. See your accountant to sort it out or get a new one if they cannot help you. I am using my corporation for two business. For the most part, I work as a consultant for three firms. I would split my time into like 70% (uses equipment & software provided by that company), 20% & 10% (use my own equipment & software, usually work from home). If I am really busy, I'll hire someone to help me with my consulting work. Starting this year, I am importing goods to sell online, my company has an import number. Majority of my income would come from my consulting business. How would CRA defines me? Sorry, I don't provide tax opinions on this blog, especially without all the facts. The fact you do consulting for 3 diff. firms would definitely be in your favour. I am an insurance adviser and newly incorporated( as abc financial services). I sell insurance to many clients and have licensed to sell with many life insurance companies. I am considered PSB. Thank in advance for your reply. I don't provide personal tax planning on this blog. However, in general, your risk is related to polices sold and commissions sold and earned and the insurance companies treat those earnings as self employed commissions. Thus, in general being a PSB is not an issue for your industry, but speak to your accountant. can you tell me if the psb rules generally apply to incorporated real estate agents , and further if the rules change if I own a small portion of the brokerage firm 9%. As you are a shareholder in a company, it is best to ask your companies accountant, as he/she is aware of all the facts relating to your activities and ownership. I recently became incorporated in October of this year and have been having some issues with my corporate account payments (delayed until Dec 31st). I am planning to pay myself 100% of the corporate income as salary but have been unable to deposit it into my personal account by calendar year end. Will I still be able to deduct this salary from my corporation's 2014 earnings or will this amount be treated as profit for this year? Hi there, thank you for the great blog. It is extremely informative! I was wondering if you could possibly shed some light into my situation. I incorporated in December 2013, and my first year-end was in November 2014. Throughout my fiscal year, I have been taking draws out of my corporation. However, having read this blog, and several others, I know that I will be taxed as a PSB, and therefore it would be more advantageous to take out salary vs. dividends. Obviously, I am late for my monthly remittances. Therefore, would it make sense to declare a bonus in the amount of my total draws, on November 2014? Then, I would pay the source deductions, and call this a part of my personal income for the 2014 tax year. I do not provide personal tax planning on this blog. That being said, conceptually your plan could have merit depending upon your fact situation, however, you would have had to have made your November bonus remittance by Dec 15th. The CRA has published guidelines for whether IT consultants are employees or self employed workers. See http://www.cra-arc.gc.ca/tx/hm/xplnd/itc-eng.html for more details. I used this when negotiating with the Department of Justice on my Appeal of a PSB ruling by the CRA. They conceded on the PSB issue and settled. Thx. The CRA's guidelines are quite useful to avoid an issue with them, but they are the CRA's interpretation and not necessarily law. Can you speak to the factors relevant for health care professionals such as physio and massage therapists that work as contractors at health clinics? If you're not familiar, many practitioners working in these situations are often on fixed-term contracts and the revenue is shared between both parties on a percentage basis (majority of which goes to the practitioner). The practitioner is often responsible for delivering the treatment and fulfilling requirements of the regulators (such as record keeping) only. Everything else regarding the operation of the business (reception, equipment, facilities and other overhead) falls in the clinic's hands. Contracts will almost always have non-compete clauses where should the practitioner leave the clinic for any reason, they can't actively take their clients with them since they 'belong' to the clinic. To me this implies that the practitioner is working for the clinic and would be an employee-employer relationship if the corporation did not exist. However, in reality, when a practitioner leaves, many client's will of their own free will, often follow them to their next clinic. In this situation, I would interpret the clinic as an overhead management service which is a business expense for the practitioner. Finally, is the determination of whether a corporation is personal services business a binary result? If a corporation has a portion of it's revenue that is deemed to be active business income and a portion that is not (because it is from a personal services business) will the amoun of income eligible for favourable tax treatment reflect the split or is it an all or nothing affair? Sorry, but this will be a fairly useless answer. Firstly, I have not had to address this issue and would only comment if I had first hand experience. Secondly, I am not sure about your second question, as my experience with the issue has always resulted in total denial or full allowance and I have not seen a partial claim allowed. So I am not sure whether they CRA would every partition a claim. Thanks for this excellent piece. I am incorporated business with a single person right providing management consulting services and business professional services (non IT). Is this considered a PSB ? In such a case, would it be better to pay myself a salary and what other suggestions you have. I cannot answer that, there are multiple factors to be considered. If you are a PSB, subject to the facts, paying a salary and maybe if it makes sense an IPP or PPP are pretty much the main deductions. A lot of the replies on here are quite biased towards someone being a PSB whereas most case law that I have seen and reviewed has had PSB assessments from the CRA overturned by the court of appeals, or in some cases the supreme court which indicates the law is on side of the contractor quite often regardless of what the CRA has planned for you. See: canadian tax journal / revue fiscale canadienne (2014) 62:4, 927 - 70 - for reference. My corp has a contract with a major bank. The only deduction in the corp is professional fees for the T2 preparation, bank fees and salary (no retained earnings ever). What are your thoughts on me then taking other employee deductions on my T1 with a T2200 that I issue to myself against the employment income from my corp. To dedcut things like home office supplies, research journals etc. Further i remit HST based on the quick method (percentage based on a project management business), which essential allows me ITCs even though technically i have no expenses that i can corporate deduct anyways. Do you see that a red flag for a HST audit. It would be aggressive and could be challenged by the CRA, but I have seen it done. Re HST -Not sure, I dont really deal with anyone who uses quick method. -I pay out about 60% of the income as salary, I tried to have some capital as I work on several ideas for the future. -I got pretty stuck with on customer, were I also do on call support on top of project work. If I do not get called on weekends, I do not get paid. Sometimes I get calls during the night and I charge for it...Hours are irregular but I do work 30-50 hours a week...The contract I have allows cancellation by client with no notice, but I do have to give 3 weeks notice if I no longer want to work for them ( or make a mistake if I want them to stop:-) Although I do invoice per hour, but I had do tasks that took me much longer then what I could charge. most of the work is done for a a client of the client of the agency, so I am 3 degrees from the client. I do not provide specific tax advice on this blog. All I can say is that if I had to make your case with the CRA, some of those facts are helpful while some are irrelevant and I would not be able to say one way or the other if you would win the contractor vs employee argument. Sorry for the wishy washy answer. Thanks anyway. I understand, everything is wishy washy, and that is the way they like it...Another questions: I had some investments in dividend paying stocks, and collected some dividends. I understand that if i give out the same amount of dividends to shareholders they will be considered eligible dividends. Also interest collected from investments could be paid out as eligible dividends, because they are taxed in the corporation at the regular tax rate ( it is not active business income)..Am I correct? Dividends that are classified as eligible dividends (typically public co) can be paid as eligible dividends. Interest cannot be paid as an eligible dividend. Your blog is very informative and is still an issue currently. 1) to become a sole proprietorship and report his income in personal tax. 2) to become a corporation and regard as PSB and get all the income as salary. 3) to become a corporation (do not regard as PSB so we can charge all other expenses like fuel, etc.) but get all the income as salary. Also, I also plan to get some bookkeeping fees from the corporation to have some personal income and lessen the net income to the corporation. Which is better: I will be included in the corporation payroll ? or just get a bookkeeping services? Please advise us as soon as possible for my husband will start by the next two weeks from now. I haven't decided yet what is the best option for my husband corporation. Sorry, I do not provide specific tax planning advice on this blog. As you have just started your accounting courses, you would be best to engage an accountant for a consultation on this issue and work through the actual facts. Our company engaged a couple of consultants through their corporations and there is no doubt we have an employer/employee relationship. Given that situation, does our company have any CRA/tax risk? Should we be deducting taxes from the payments to the companies? Should we terminate these contracts and hire the individuals as casual employees. Regarding the criterion of 'possibility of loss' for distinguishing PSBs from non-PSBs - if a client requires proof of substantial professional liability/indemnity insurance as a condition of being contracted by them ('in case we, and thereby you, get sued because your work is deficient'), would this be useful do you think in at least helping to make the case for non-PSB? I am a data analyst contracting to a South African company. I am set up as a sole proprietor and use an agency to pay all my taxes as a deemed employee in order to avoid PSB pitfalls. Due to exchange rate concerns I am interested in creating a seperate business (this one incorporated) with a proper website etc to find Data Analytics projects in Canada. As it will be a startup having five or more employees would be out of the question. If I pick up work I will likely have to use a subcontractor or employee to deliver as most of my capacity will still be taken up by my primary contracting work with the South African company. The incorporated business will be a proper business and I am worried that the fact that I am already working as a deemed employee with the SA company will cause my incorporated company to also be deemed as a PSB. One scenario I am specifically worried about is where I have one or two people delivering to my incorporated business' clients. I would make a profit on their work but if their salary expenses cannot be deducted then almost all of the business profit will be consumed by double tax. My understanding is that only the owner's salary is a deductable expense in a PSB and I would not be able to use employee salaries as a deduction. How can I create a viable business if I cannot hire less than 5 people without double tax problems? What would you suggest I do to avoid these problems? This is a very complicated question I will not answer on my blog. Speak to your accountant or hire one, sorry. Anyone with further experience having a PSB company issue a T2200 to it's main employee to claim office expenses, mileage, etc.? Further, being that the salary deduction allowed are based on amounts actually paid (no bonus accrual), does it stand that income of the PSB corporation is also on a cash basis, or does it still have to report A/R? I am a data analytics contractor providing services on retainer to a Canaadian customer. I own a corporation and invoice the customer from this entity. I am convinced I am a PSB at the moment but I hope to grow the business beyond my own capacity in the future by making use of subcontractors. I hope to get to 6 people eventually and then I can normalize my business as PSB rules will then fall away. At the moment it is just me in the business. My problem is that according to my understanding of PSB rules only my salary counts as an eligible deduction and not the salaries of any sub-contractors that I hire. This will effectively mean that I cannot hire the subcontractors. How can I grow my business beyond a one man PSB without being able to hire people? Will the CRA allow sub contractor costs to be deducted from my PSB income?